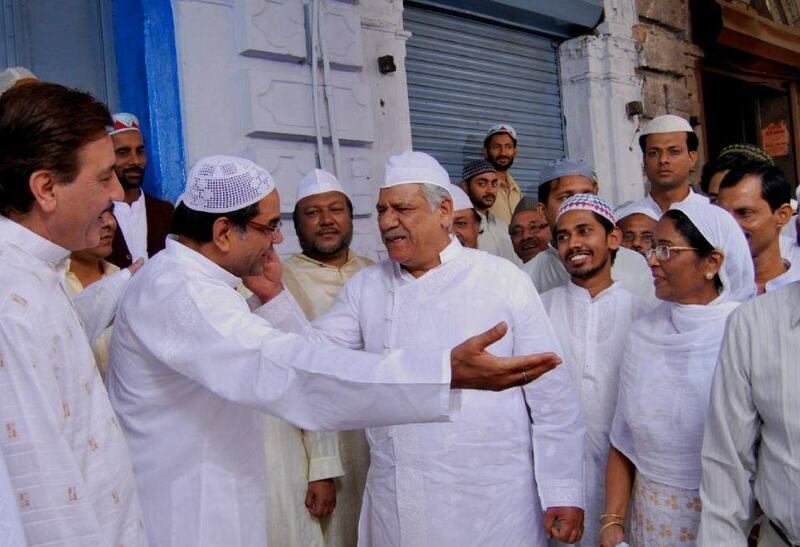 A Respected Muslim motor mechanic Hasmat Ullah [played by Paresh Rawal] is given the job of repairing an old V8 Ford engine. This V8 engine once carried the ashes of Mahatma Gandhi for immersion at the Sangam [a confluence of rivers, especially that of the Ganges and Jamuna at Allahabad] and is now needed again for the same purpose. But as he takes up this job, there is a communal resistance in the city he lives and now he is forced to take a side. He can either support his own community [led by characters played by Om Puri and Pavan Malhotra] and abandon the repairing of this engine as the city goes on strike or he can go against his community and help a national event take place peacefully. His decision brings unexpected consequences but the film is not about the decision he took but about the character he shown in a serious situation. Road to Sangam is a film that almost no one has even heard of. It is a small budget film with nuanced acting performances and heart at the right place. The film has its flaws here and there but it is still a film you shouldn’t miss, it is an important film, to say the least. Eadweard Muybridge was the man who invented cinema, Thomas Edison invented the Kinetoscope, which was a precursor to the movie camera, Georges Méliès was responsible for introducing narratives and special effects in Cinema but the contribution of Lumiere Brothers is the most historically significant among all these pioneers of cinema. The others may have realized the power of cinema and the need to develop cinema but it is the Lumieres who realized the power of camera and the things it could and needed to capture, they were responsible for introducing people to the cultures of the world. The Lumiere Brothers travelled the whole world with their camera during the late 19th century and early 20th century and captured moving images of random people doing random things from places like Algeria, Cairo, Paris, Berlin, Rome, New Zealand, Venice, New York, Tokyo and many other countries/cities of the world. In this collection of experimental films by Lumiere Brothers French Filmmaker Bertrand Tavernier narrates and explains each one of these short films and the approach with which they made these films. 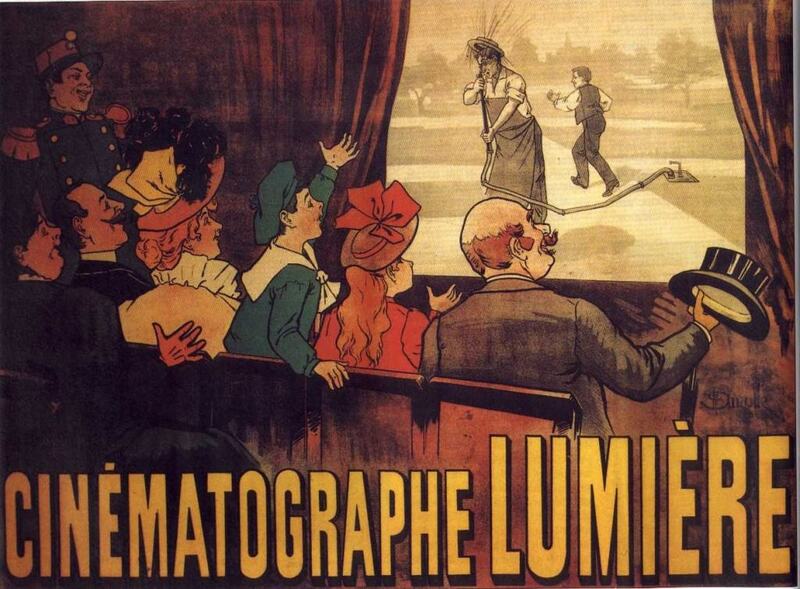 The Lumieres made sure that people of all generations learn about the societies of the world of the late 19th century. More than just a documentary, this is a significant archive, which all of us should watch. If you are into world history, this is gold for you. Guy Maddin is the guy who makes films of 20th century in 21st century. The grainy and grimy vignettes of his movies evoke the feel of primordial experimental cinema. His unique visual style has rightfully earned him title of “The Canadian David Lynch”. The Saddest Music in the World is a musical tragicomedy, a symphony of sorrow, which is sadly funny. Movies of Guy Maddin revolve around Winnipeg, a mystical city in Canada, which has been chosen as “The World Capital of Sorrow” four times in a row by The London Times. To celebrate this achievement, Lady Port-Huntley (Isabella Rossellini) announces an unusual contest, a frightening contest of human despair, a contest to determine which country has the saddest music in the world. All the nations line up to trade their sorrow for 25000$ of the depression era. Chester Kent (Mark McKinney), a bankrupted Broadway producer represents America. He puts a lurid show of sadness, for what is America without showbiz? Competing against him are his own father, a true Canadian patriot and his brother, Gavrillo the great, the maestro of melancholy from Serbia. Gavrillo is sadness personified; he keeps his dead son in his pocket, preserved in his own tears. Each representative tunes their deepest misery into a song of bereavement, only to realize in the end that sadness is not something one can sell. Is it possible to capture the life on the canvas of painting? To what extent an artist can go in order to achieve that? The anomalous relationship between artist and art has never been captured like this before. Thanks to the exquisite direction of Jacques Rivette, what could have easily been four hours of art tutorial emerges as one of the most gratifying meditations on art. Edourd Frenhofer (Michel Picoli) is a great artist of bygone era, a fire burning without any spark. He has been idle for 10 years. La Belle Noiseuse was his most ambitious painting, which never took shape on canvas, existing only in his mind. Marriane (Emmanuelle Béart) rekindles the spark of passion in Frenhofer once again; she becomes his muse and compels him to pursue his long abandoned project. Frenhofer wants her to pose naked, not just naked in body, but naked in soul. Throughout the film, he pushes Marriane to pose in discomforting postures, to the extent that she becomes numb and forgets what pain is. She has lost the notion of time and space and evolved herself into the model Frenhofer wanted her to be. Everybody dreams, but what if you can have a customized dream? Joe (Jack Bittner), another bum on the street turns into an artist when he discovers a rare talent inside of him, an unusual ability to retain images on the retina, photographed by the mind. Astonished by his own skills, Joe starts the business of dreams. He peeks into the subconscious of customers and formulates a tailor-made dream for them. In this experimental film, dreams are fused with reality, which is clearly stated in the very beginning. It is arguably one of the most groundbreaking works of surrealist cinema, having a huge influence on today’s “surreal music videos”. 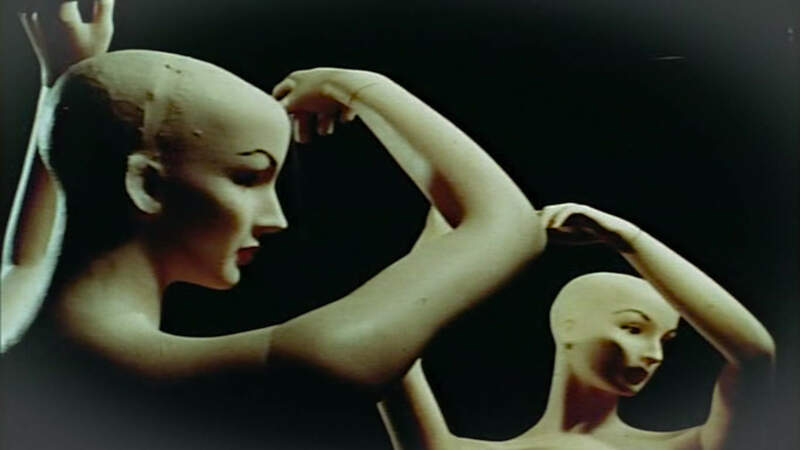 The dream sequence in the movie- “A Girl with the Pre-fabricated Heart”- can be separately considered as the first music video ever produced. The film features Joe and seven dreams fabricated by him, as per needs of customers of course. Despite devoid of any special effects, the dreams visualized in this movie are quite vivid. In one of the most fascinating dream, viewers presented with one of the most unusual movies in the history of cinema. It’s a movie that relies on viewer’s improvisation, as they are required to mimic gestures that appear on screen to give them meaning. In dreams, even familiar objects appear strange. Dreams That Money Can Buy acquaints this strangeness into cinema. Can you escape the horrors of your past? If you are a really bad person or if you are a victim of circumstances, is there still hope for you? Ki-duk Kim (Known for Spring, Summer, Fall, Winter… and Spring) is someone who gives small but significant messages through his films. While, Spring, Summer, Fall, Winter…Spring was his meditation on life along with all its significant entities, through Pieta he tells the story of a vicious loan-shark, who is cold-hearted, merciless and ruthless towards all the people who owe him money. He doesn’t give them time, he doesn’t kill them, he just cripples them making their life agonizingly painful. He doesn’t have any remorse or compassion towards them, basically making him devoid of any kind of emotions. He is alone and depressed, which is evident from one of the essential scenes in films. But life doesn’t want him to be that way. A mysterious woman comes on his door step and disagrees to leave his side. Slowly and gradually he accepts the woman in his life, wherein he also starts thinking that there’s hope for him. Kim’s Pieta is a staggering study of the human condition. How it changes a person when he faces things which he sees, every single day through the eyes of his own victims. It shows how love can be the start of every single thing that goes right and wrong in life. It show how love can often result in pain, revenge and the likes of it. Pieta is not a happy film. There are a few controversial scenes thrown in too. Even though the big reveal in the end of the film can be foreseen, it leaves you with a lump in your throat with its hypnotic tendency that doesn’t let you go. Long before Ellen Page was castrating internet perverts and Reese Witherspoon was Legally Blonde, there existed this raunchy, loud, black comedic spin on the good old tale of Little Red Riding Hood. Matthew Bright’s Freeway is, by any definition, a very weird film. For starters, Reese who plays Vanessa doesn’t wear a hood but she does have a basket and is going to her grandmas. She lives with her parents who are junkies and don’t have any sense of things whatsoever. But her luck gets her riding alongside the big-black wolf played brilliantly by Kiefer Sutherland. The thing which makes this film a black comedy in not the premise, nor the writing but surprisingly its inept outlook of the society through the eyes of a teenager. She is wrong in most of her deeds except maybe the final one. Reese Witherspoon irritates you with her loud, child-like persona but you slowly started inching towards her as her characters show the depth of understanding the world and going against it in all the wrong ways possible. Suspect X is a battle of wits between two incorrigible people. A talented physicist and a genius mathematician. But it’s more than that. For most of its runtime, it’s an intriguing whodunit tale where we see a hapless mother taking the help of a random neighbor to hide a murder that was committed. The viewer knows the answers all along but there are at least a dozen unpredictable turns in this film that completely leave you gasping for thin air. Based on the TV show Galelio, Hiroshi Nishitani’s film is a lot of different things in one. For instance, its a simple thriller to start off, its a family drama, a love story, a loner’s anthem and also has shades of depression. The narrative is far-stretched and uneven at times but it all works out well because it gets you interested in itself nonetheless. In one of the amusing scenes, a KGB analyst ‘Sergei Grigoriev’ requests for Sony Walkman & Queen cassette tapes, and casually talk about French poetry & Cognac to French Engineer Pierre Froment. Christian Carion directed the film, Farewell, has strings of such simple, realistically done humane scenes between two spies trying to put an end to a world dominated by two opposing powers. 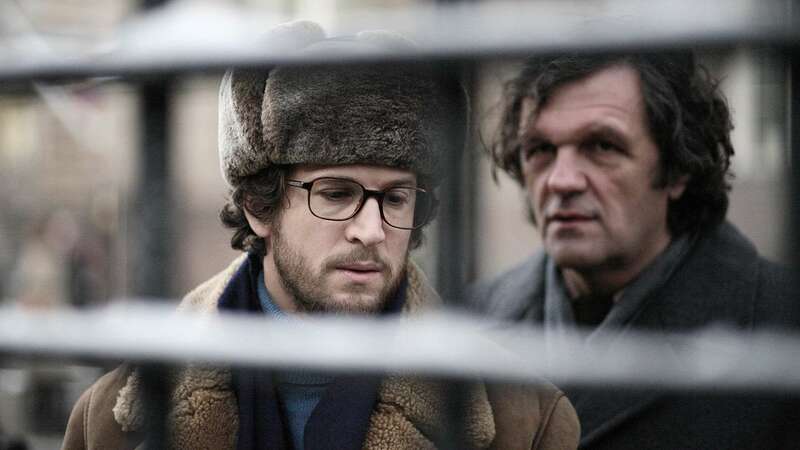 Loosely based on the true story, the film builds a suspenseful and tensed spy story that strip down the human costs of betraying a country than on actual political fall-out and this is where it hit you hard the most. Sergei Grigoriev leaks crucial information about Soviet spies infiltrated in the industrial, economic and scientific field in the USA, to foreign intelligence that would lead to the crumbling of the Soviet Union. The Hope Factory is a character driven story of plight of two contrasting female character in the most polluted industrial city of Norilsk, who desire to leave the place like other youngsters to the nearby city for better living. It is a depressing and tragic coming of age drama that deals with hope against foggy future, fragile love and friendship.Each character has substantially good but aching dramatic story to say with minimal dialogues. Ironic title signifies the universal angst of youngster where they are arrested in the factory (read job) against their desire.Restlessly shot on a hand-held camera and genuinely performed by mostly first-time actors, this kinetic docudrama nearly gets under the skin of its characters and raises universal issues about the ‘age of blooming’. 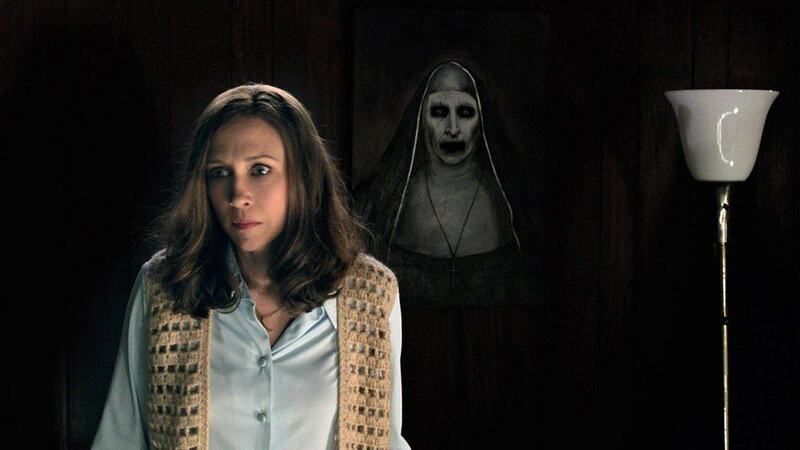 The Conjuring 2  : The Return of the Warrens & the haunted house!